BAPTIST MADNESS 2017…It’s Not What You Think! 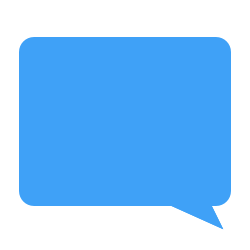 Really…it’s not what you think. Last year I embarked upon a fun (& hopefully helpful) reminder of those who have gone on before us and made significant contributions to our understanding of the faith and our faithfulness from within our Baptist heritage. To do this, I incorporated the concept behind the NCAA Men’s Basketball Tournament (a.k.a. “March Madness”) to create a ‘tournament’ of head-to-head match ups between sixteen historic Baptists. I owe this inspiration to a friend in my church who made me aware of the site, LentMadness, created by some Episcopalian priests to have the same kind of fun during the Lenten season. As I told him, outside of John the Baptist & MLK, Jr., there just weren’t enough Baptists for me (Yes, I know JtB isn’t really a Baptist in the traditional church history sense.)! The inaugural winner of Baptist Madness 2016? C. H. Spurgeon (who edged-out Lottie Moon for the win). Sooooo, there you have the beginning of this little adventure. This year’s tournament is, “BAPTIST MADNESS 2017: Pastoral Playoffs,” featuring two divisions making up the Legacy League. One is ‘The Martures’ (“mahr-tour-ess”; the biblical word for witnesses used in Hebrews 12:1) Division is a group of eight pastors who have already “fought the good fight” and “finished the race.” The Martures pastors in this year’s tournament are: Adrian Rogers, Jerry Falwell, J. M. Carroll, E. V. Hill, R. G. Lee, Isaac Backus, George Liele, and C. H. Spurgeon. The other is ‘The Karukes’ (“kay-ruke-ess”; the biblical word for preachers like is found in 1 Timothy 2:7) Division is a group of eight pastors still living out the call. The Karukes pastors are: John Piper, Jerry Vines, Fred Luter, Johnny Hunt, Mark Dever, Rick Warren, and Jerry Young. Robert Greene Lee was born to sharecroppers in York County, South Carolina [on November 11,] 1886. Growing up working the farm, picking cotton and going to Fort Mill Baptist Church, he made a profession of faith and was baptized at age twelve. From that moment, he felt both a call to preach and the need to be properly educated to fulfill that call. Though his access to formal education was limited in his early life, he exhibited a love of learning that stayed with him throughout his life. As a boy, he trapped rabbits and sold peanuts to earn money for tutoring in Latin. When, at sixteen, he met Dr. Edwin Poteat, President of Furman University, he learned of Furman Fitting School where he would eventually do his preparatory work for college. Despite his desire to receive an education, he vowed to stay on the farm and help his family until he was twenty-one. He then borrowed the money for passage to Panama where he worked on construction of the Panama Canal for nine months to raise enough money for his first year of preparatory school. After graduation, Lee continued to pastor churches and also took positions teaching, first at an elementary school and later as principal of a high school. His first full-time pastorate was the Red Bank Baptist Church in Saluda, South Carolina. When, in 1918, Dr. Poteat offered Lee the position as Chair of Latin at Furman, Lee could see the realization of his dream to combine his preaching with teaching. In the spring of 1918, he resigned his position in Saluda and headed to New Orleans for graduate work at Tulane to prepare for the position at Furman. Upon returning from New Orleans, however, he was informed that the Board of Trustees had decided that no new professor could hold a pastorate concurrently. Lee’s response was to resign his new position with the university. It was several months before he was called to pastor First Baptist Church, Edgefield, South Carolina. While in Edgefield, Lee completed a correspondence course with the Chicago Law School with work in ethics, sociology, psychology, philosophy and international law. He was awarded a Ph.D. after the one year residency requirement was waived on the strength of his previous academic work. It was also in Edgefield that Lee originated his most famous sermon, Payday—Someday. He would preach this sermon more than 1200 times in his lifetime. 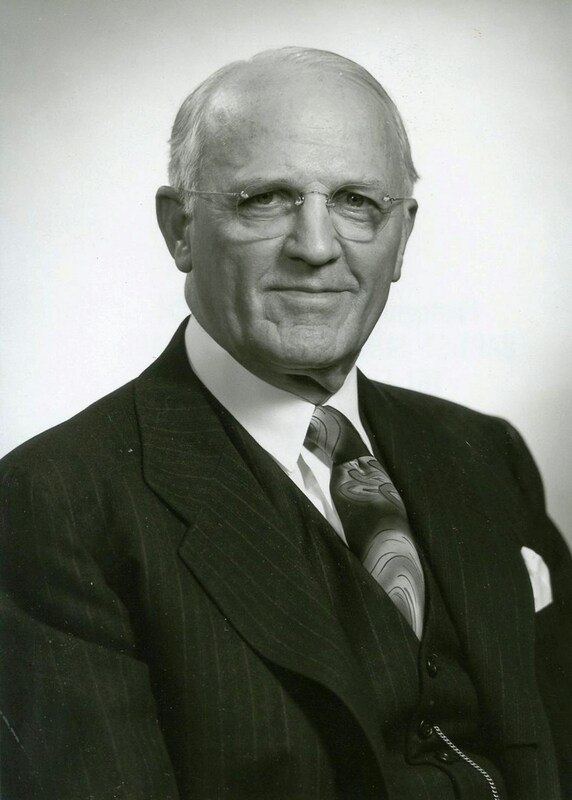 On December 11, 1927, Robert Greene Lee began his tenure as pastor of Bellevue Baptist Church in Memphis, Tennessee. Despite numerous opportunities, Dr. Lee remained at Bellevue until his resignation, February 1, 1960. His time at Bellevue was also marked as a time of great denominational service. He served as president of the Tennessee Baptist Convention 1931-1935 and as president of the Southern Baptist Convention from 1949-1951. He was a trustee for Union University from 1941-1954. The Chairman of the Board of Trustees of Union University twice asked Dr. Lee to consider the presidency of the university. Fully dedicated now to his preaching ministry, Dr. Lee refused. In April 1977 Dr. Lee suffered a series of heart attacks in Oklahoma City while there for a revival at First Baptist Church. He died in Memphis sixteen months later July 20, 1978. Jerry Vines was born in Carrollton, Georgia near Atlanta in 1937. Before attending seminary, he pastored his first church, Centralhatchee Baptist Church, at the age of 16. He was educated at Mercer University, New Orleans Baptist Theological Seminary, and Luther Rice University before pastoring in churches in Alabama and Georgia. While pastor of Dauphin Way Baptist Church in Mobile, Alabama he was elected President of the Alabama Pastors’ Conference. He relocated to Jacksonville in 1982 to co-pastor the First Baptist Church with Homer G. Lindsay, Jr. In June 1988, he was elected President of the Southern Baptist Convention, served two terms, and was supportive of the Southern Baptist Convention conservative resurgence. During his first 20 years at First Baptist Jacksonville, he baptized 18,177 people and was influential in starting the First Baptist Church Pastors’ Conference which drew thousands of ministers and church works from across the world. 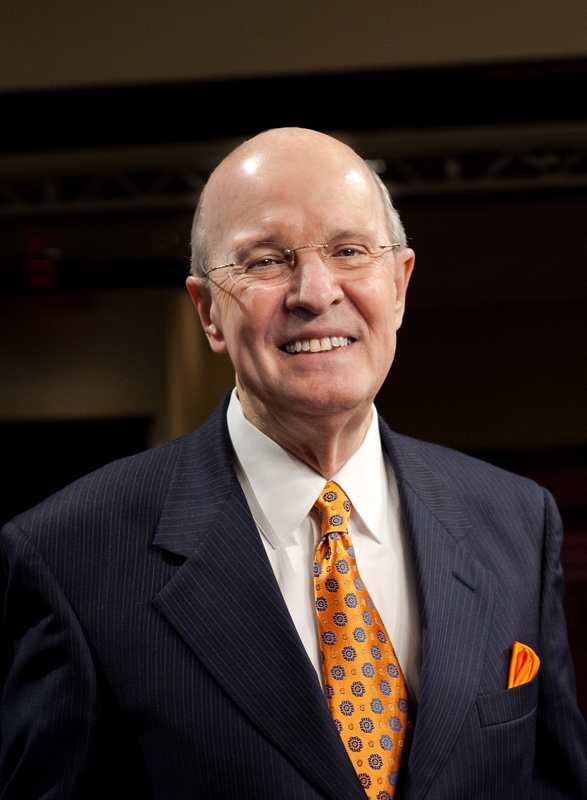 Vines announced his retirement from First Baptist in May 2005 and preached his last sermon as pastor of the church in 2006 at the close of the 20th annual Pastors’ conference. Dr. Vines is married to the former Janet Denney and they have four children and seven grandchildren. SOOO, there you have it, sports fans! I look forward to seeing you guys throughout the tournament. Remember to vote and vote often!! Scott, I’m sure you intended to include Charles Stanley in the eight Karukes pastors you listed in paragraph three of the above narrative. You have him slotted on the bracket you put up on your blog post.